This Cyclo Model 5, Mark II machine is equipped with ProGuard Orbital Backing Plates for attaching loop backed foam or wool pads. 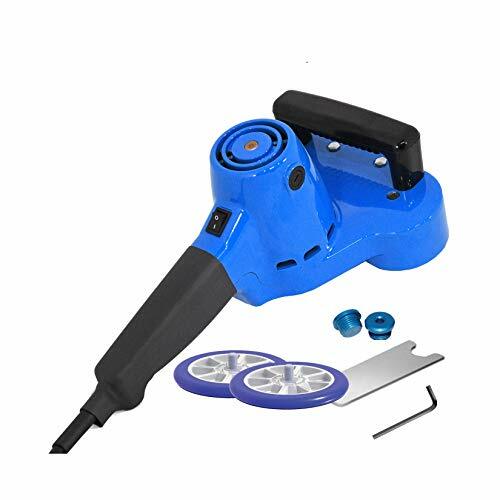 The Cyclo tool's innovative design eliminates the two main problems that plague rotary polishers: heat build-up that can cause visible burns, gouges and swirls, and vibration. The synchronized movement of the Cyclo Polisher's dual orbiting heads effectively mirrors the overlapping, circular motion of fine hand polishing. The result is perfectly balanced machine that produces virtually no vibration and a mirror-like finish without swirl marks or risk of damage to paint. While the Cyclo Dual Head Orbital Polisher is legendary for its polishing capabilities, it also provides the user with versatility. 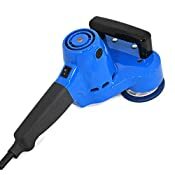 Attach one of its many accessories, and this incredible machine can scrub carpets, buff windshields, sand flat or contour surfaces, or strip wax buildup from floors. It also removes puck marks from hockey arena boards. Nothing outshines the Cyclo Polisher. For polishing, versatility and value, the Cyclo Polisher is in a class by itself. Intended for professional commercial users.